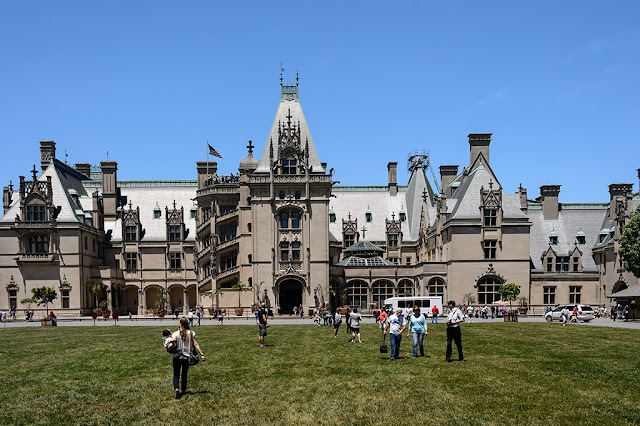 Walking the grounds of the Biltmore House and Gardens, in Asheville, NC, is an enjoyable experience. There are acres and acres of grounds to cover on well maintained trails. The house itself is beautiful and even if you travel outside of the blooming season, as we did on this warm afternoon in late May, you should be able to find something in the gardens to interest yourself. Have you ever seen a White Squirrel? Visit Brevard, NC! 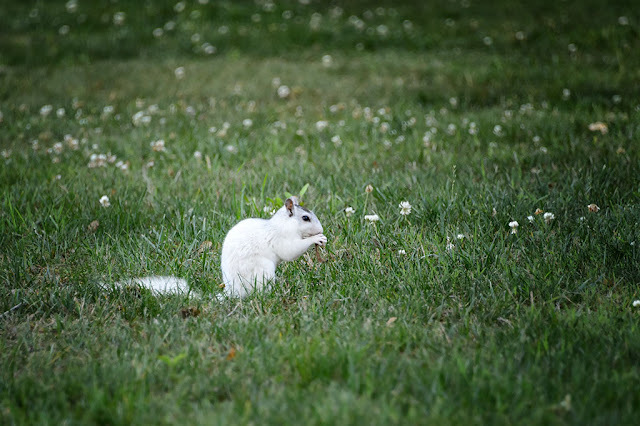 You can see white squirrels in Brevard, North Carolina! We aren't talking about albino squirrels with their pink eyes but honest to goodness white squirrels. Peg and I have looked for white squirrels in other cities that claim to have the cute critters but have never had any luck finding them until now. Are you into trains? How about vintage automobiles? You can find them both at the North Carolina Transportation Museum in Spencer, NC. The museum is housed in multiple buildings and covers 57 acres at the former Spencer Shops. 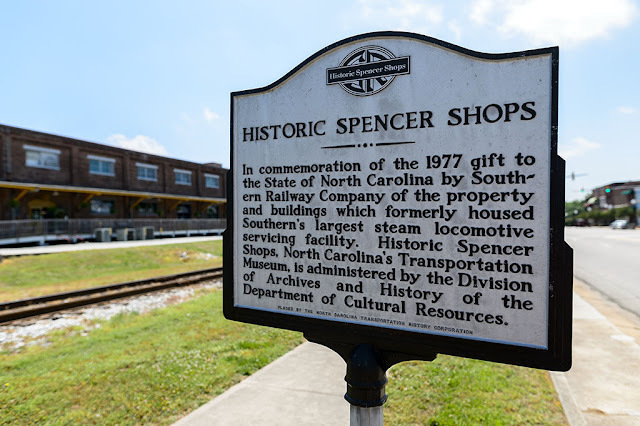 The Spencer Shops was once Southern Railroad's largest steam locomotive repair facility on the east coast. 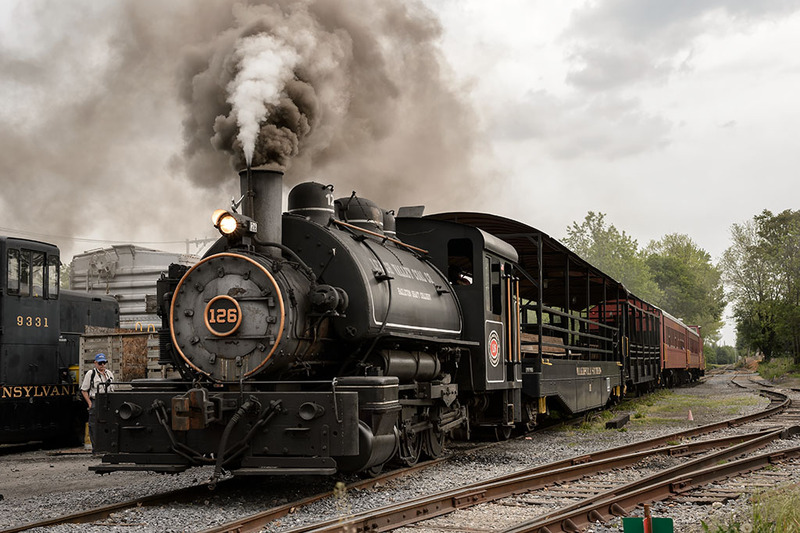 Just outside of Frederick, Maryland is a small railroad run by mostly volunteers. The tracks were once part of the Pennsylvania Railroad and later part of the Penn Central Railway. Bankruptcy and the destruction of a bridge over the Monocacy River by hurricane Agnes left the tracks abandoned in 1972. In 1991 the Walkersville Southern Railroad was formed and by 1995 trains were once again running on the Walkersville-Frederick line. While the WSRR normally runs diesel locomotives we were there for steam! A once in a lifetime event happened on Friday, May 8, 2015, in the skies over Washington, DC. World War II vintage warbirds assembled in 15 groups to honor the 70th anniversary of Victory in Europe (VE) Day as they flew over the National Mall. The formations represented the major battles of WWII. 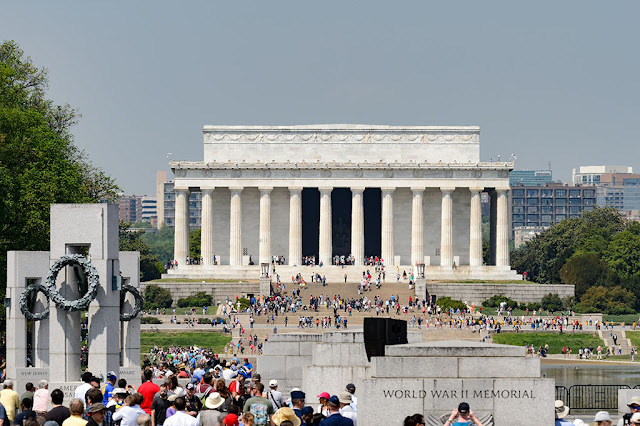 I took the day off to experience the Arsenal of Democracy Flyover and to be able to share some aircraft photos with you from my location near the WWII Memorial. 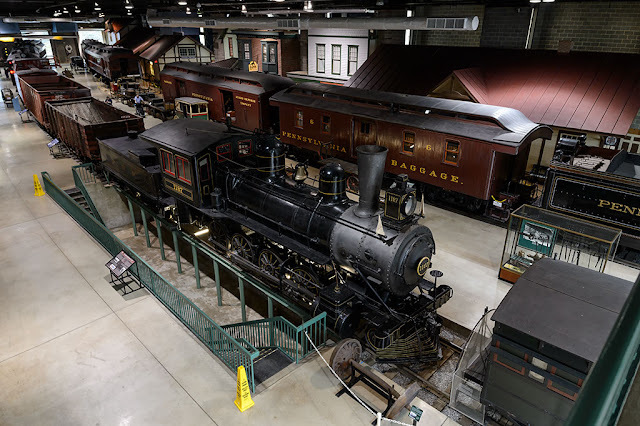 The Railroad Museum of Pennsylvania is packed full of history dealing with railroading in Pennsylvania. 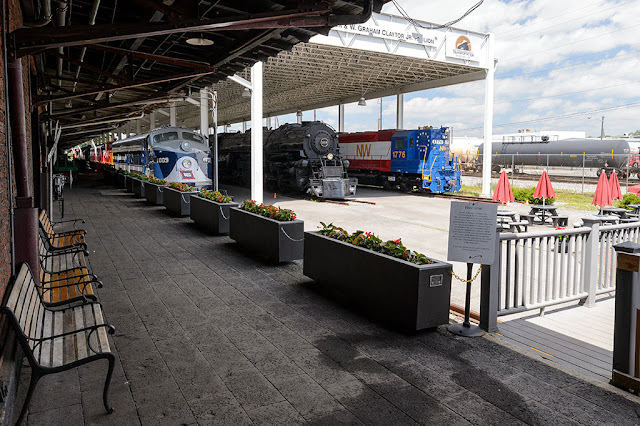 You can browse the more than 100 locomotives and railroad cars on their 18 acres in Strasburg, PA. The museum first opened in 1975 and is owned and operated by the Pennsylvania Historical and Museum Commission. They do a good job of education and preservation at their museum. 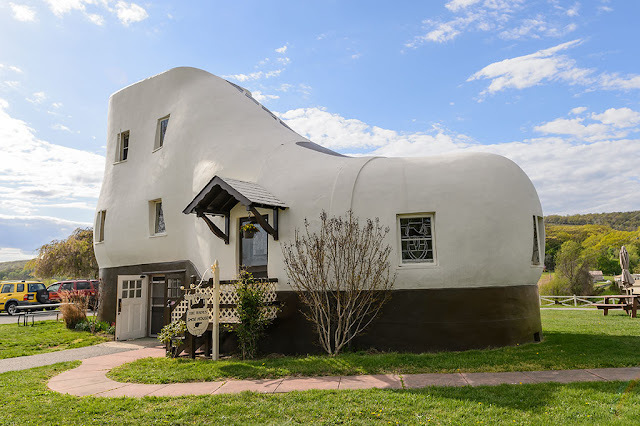 If you are ever driving the Lincoln Highway (state route 462) or Rt 30 outside of York, PA be sure to stop for some ice cream at the Haines Shoe House. Located at 195 Shoe House Rd in Hallam, PA, it was built by Colonel Mahlon Nathaniel Haines in 1948 as an advertisement for his over 40 Maryland and Pennsylvania shoe stores. The recent Sleepy Hollow TV series on the FOX network got us interested in visiting the town of Sleepy Hollow in New York. We decided that we should make a road trip to the Old Dutch Church which inspired Washington Irving to write The Legend of Sleepy Hollow for which the TV series is based on. 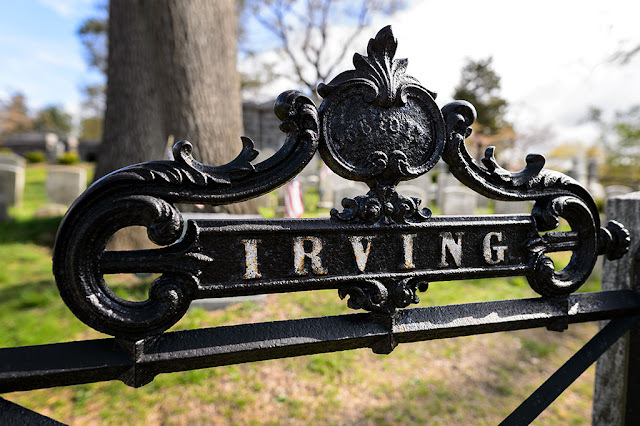 Right next to the Old Dutch Burying Ground is the Sleepy Hollow Cemetery where Washington Irving is buried.